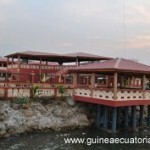 El Caribe Resort is located five kilometers from the road linking the city of Malabo to the airport. 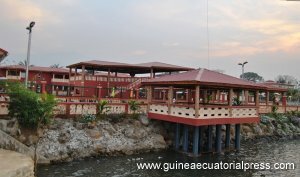 After its renovation, it was opened on the evening of Saturday, January 18 by its director, Yessica Eneme Lima. The event was attended by the President of the Chamber of Deputies, Gaudencio Mohaba Mesu. The opening of this new resort in Malabo began with the priestly blessing, followed by the ribbon cutting by the director Yessica Eneme Lima. The event was also attended, in addition to the President of the Chamber of Deputies, Gaudencio Mohaba Mesu, by the Rector of the National University, Carlos Nzé Nsuga, and the Vice Minister of National Security , Juan Ndong Nguema, among others. Its director made ​​a presentation of the new establishment, and thanked the guests for their presence. In her speech, she said that El Caribe will provide the best services for customer satisfaction. The complex offers modern facilities, including suites, executive rooms, conference room, gym, spa, restaurants and other first class hotel infrastructures. Before ending her speech, Yessica Eneme Lima thanked the people who were involved for their work and effort in building this resort. During the opening ceremony, the attendees enjoyed the performances of the Equatorial Guinean Miss Yuma and other artists from the neighboring Republic of Cameroon.